Quick, easy access to keys is only one of the many ways that automotive key control systems can benefit a car dealership’s day to day operations. Keys put into the system can be moved around the facility as the car moves, with a full data trail available at all times. At all times, the system records the whereabouts and access history of each key. These records are readily available to provide management with data regarding the status and location of vehicle inventory. Vehicle history reports can be generated to help analyze sales force performance on demos, fast/slow movers and even track the source of mystery mileage. 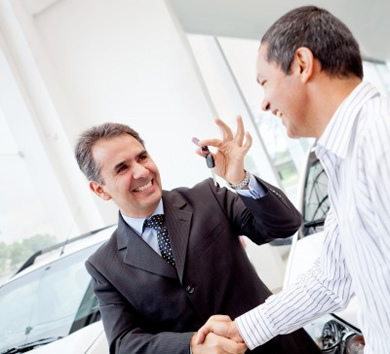 In addition, reservations can be made for a specific key in the system to ensure that that a particular car is available for a scheduled test drive. Dealership key control systems work by attaching keys to a locking mechanism that is virtually tamper proof. Access and return of keys is electronically monitored. This type of locking system can decrease liabilities for theft and prevent misplaced keys. In other cases, key banks with electronic monitoring will prevent an employee from inadvertently taking a key home at the end of the day instead of returning it.